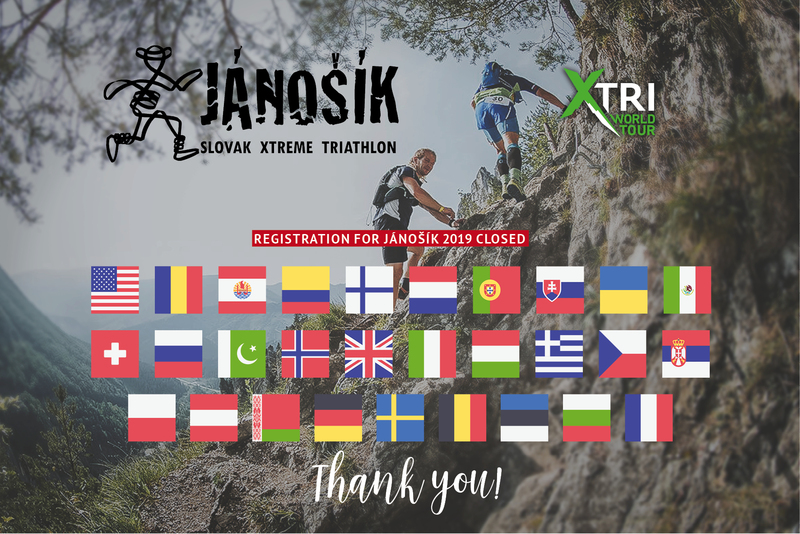 We are honored to tell you, that athletes from 29 countries applied for JÁNOŠÍK Slovak Xtreme Triathlon 2019. Lottery results were sent to all succesfull applicants. There is still chance to start at 2019 race, if you sign up on the Waitlist at your account on our registration page. If someone will not pay on time, we will allot athlete from the waitlist. Thank you.